With its ultra clean lines and minimalist styling, Triton's Aspirante in White Gloss is more than a shower, it’s a statement, your statement. 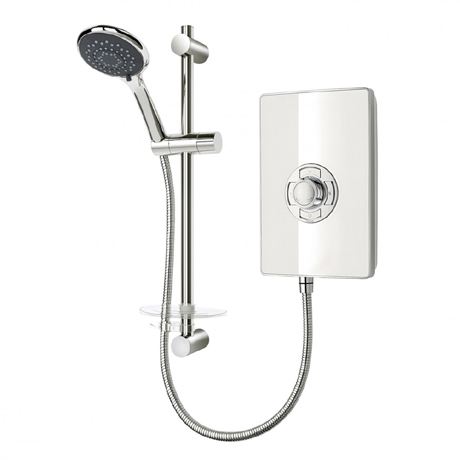 Whether you’re out to enhance a coloured bathroom interior, or complement your very own oasis of calm the Aspirante electric shower will deliver in this beautiful white gloss finish. This model is for an 8.5kW power supply.